You have the dress now it's time to find the perfect bridal hairstyle that complements your dream gown and after working with countless brides to be i can definitely share with you some considerations and tips for creating a seamless bridal look. Try to stay true to who you are. Your wedding day is not the day to dramatically change your look. Think about what type of bride you are... Classic? Vintage? Modern? Romantic? Hollywood? Use these words to help define your search when you a considering different styles. There are still many factors to consider the neckline on your dress should be at the top of your list and ensure that your hairstyle is incorporated to showcase or flatter its design. My tip is to play around with your hair when you are trying on the dress moving into different sides and into a low and high bun so you can see which style would work best with the neckline. Bridal hair doesn't have to mean long hair be realistic and understand there are limitations with every texture of hair if you deem your hair to be problematic for example extremely fine or frizzy and curly advice your bridal specialist before your trial booking so you can discuss potential limitations and avoid disappointment at the hair trial. Building a relationship with your hairstylist is a key part of the process and will help you to feel comfortable and at ease the morning of your wedding. Make sure you have regular appointments with your hairstylist in the lead-up to the wedding so they can become familiar with your hair, face shape and so they can devise a cutting and colouring regime 6 months before your wedding day. It looks gorgeous, especially if it's really long and you don't have to worry about getting headaches from the pins. However If you’re getting married on the beach or in a steamy summer month it will be hard to control and may become messy or look undone. This is because the hair is not secured. I would definitely recommend adding a tighter wave/curl so they have time to relax throughout the day and be prepared to be touching up your hair throughout the evening. This is a great option if you can not decide between up or down as you can secure pieces of the hair resulting in a longer lasting style while still having the comfort of your length. There are so many choices for updo's these days, from the romantic braids and twists to a regal high bun. There really is something for everyone and updo's are a personal favourite of mine! Updo's are fantastic for the warmer humid months and will stay in place all day leaving you with one less thing to worry about! Make sure you love your updo from all angles and keep it soft and feminine around the face. Head pieces, headbands and florals are great additions to many styles and should defiantly be considered for brunettes! Darker hair tones do not pick up as much detail as lighter tones, so add a hair accessory or florals to highlight the detail of your shiny locks. Did I already mention stay true to who you are? Your loved ones and, let's face it, everyone involved in your wedding day will offer slightly different advice and opinions which can be extremely confusing at times. Try to remember to compliment your personality, not someone else's. A pre-wedding bridal hair trial will help you to feel comfortable and happy with your wedding day hairstyle, ensuring you have chosen a hairstyle that will look and make you feel your absolute best! Research your hair artists well in advance, follow them on social Media to ensure you love their approach to hair and beauty. Call and chat with your potential artist see if you connect with them, ask them any questions or concerns you may have. Look for referrals on your potential vendors, what past brides are saying about your potential hair artist? 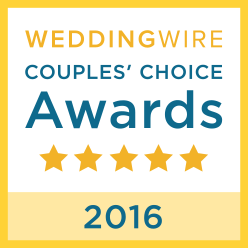 Bridal Hair Collective is reviewed and rated on WeddingWire. Book your hair trial 3-4 months before your wedding date. Ensure your hair is freshly trimmed or in healthy condition. Research bridal hair styles you like trying to stay true to your own personal style and within reasonable limitations of your own hair type or length. 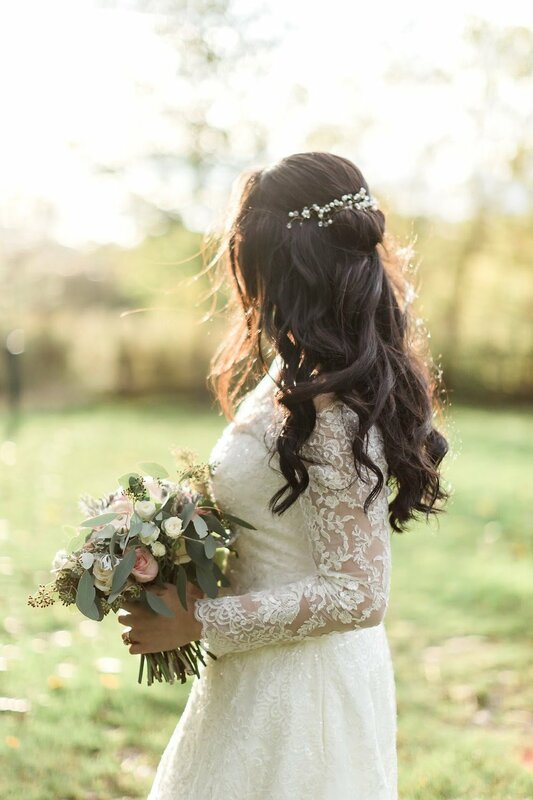 If your hair is finer or shorter than your desired look, ask your bridal hair specialist about the possibility of adding hair extensions or padding to enhance and create the hairstyle you would like to achieve. Bridal Hair Collective brides will a hair trial preparation sheet to ensure they get the most out of their hair trial. Our hair trials are 1.5 hours. This can vary with different stylists, although you should expect to see one to two variations of your desired look. Photos are taken at the hair trial and emailed to our brides. All professional stylists should guarantee their work. At Bridal Hair Collective we provide a 100% Happy Bride Guarantee to all our brides. 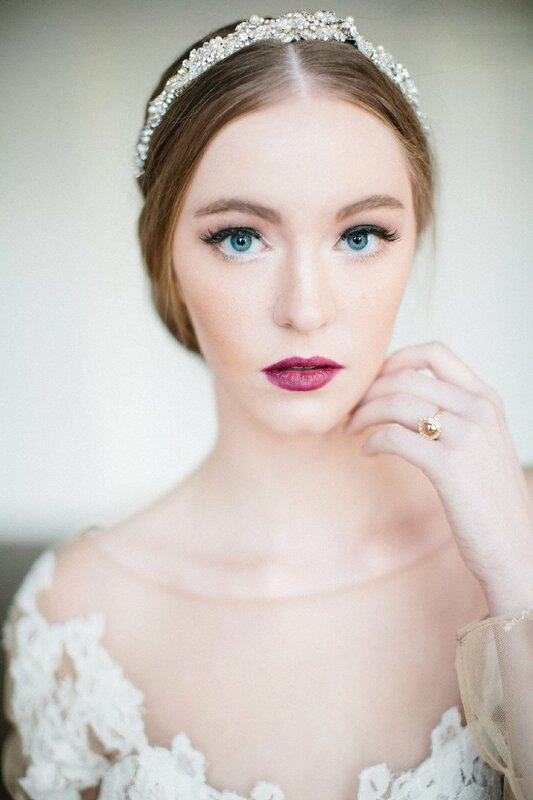 We provide professional guidance and beauty advice on how to achieve your desired look before your special day. Bring 1-2 photo’s that capture your favorite bridal hair looks along with pictures of your dress and color theme. Bring your hair accessories, earrings or any other accessories that may help you envision the completed look. Friends or family members are welcome they are often great for support and offer sound advice. Collect photos of people that look like you. If you are brunette try to bring brunette pictures as Blonde hair shows detail very differently to darker shades. Ensure your hair is a similar color and cut at your hair trial to what you would like for your wedding day hair.